Connecting Florida with a push of a button, Highland Wireless’s Push-to-talk Wide Area Two Way Radio Network Network is powering the next generation of radio communications. We are one of the few radio network providers in the country to offer multiple networks to choose from, and are continually growing them to offer the best options for our customers. Highland Wireless is pleased to offer Kenwood’s NEXEDGE two way radio network, and Motorola’s MOTOTRBO Connect Plus, Link Capacity Plus, and IP Site-Connect Networks. For every service type and need, we offer a network that will best suit our customers. The two way radio network will definitely change your operation. We stand behind our wide area network as one of the largest and most dependable networks in the country. In emergency situations, our towers are stronger and more dependable than cell towers and our backup systems can keep you and your team talking. Our wide area network is constantly growing and is unmatched by any others in Florida. What can wide area offer you? First, businesses spanning the Miami, Broward, and West Palm Tri-county area can operate seamlessly without worrying about losing radio communication. Trucking companies driving between the Keys and Jacksonville have full coverage throughout the trip. Most importantly, any business in the South Florida area has room to grow and thrive as our network grows. What couldn’t be done years ago is possible now, and our mission is to provide next level communications that you, and your team can be confident in. Wide Area is the future of radio communications and it’s changing the way growing businesses and organizations communicate. A wide area radio network offers the capability to talk radio-to-radio 300 miles away, like their right next door. 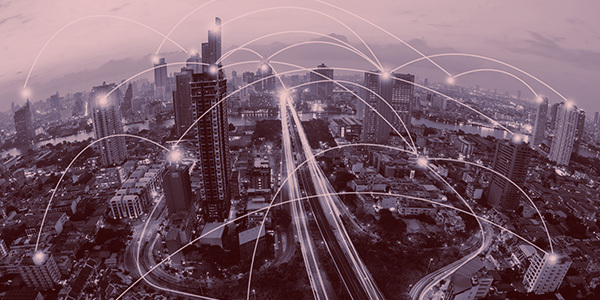 A Wide Area Network, as the name suggests, is a network of radio systems over a very large area, able to connect people who are very far distances away. In Florida, Highland Wireless was one of the first to lead the charge in rolling out a wide area network able to connect cities like Miami, West Palm, Orlando, Jacksonville, Daytona Beach, St Augustine and Tampa Together, as well as everywhere in-between! A wide area radio system is a network of connected sites, each outfitted with radio infrastructure. Depending on the location, this radio equipment can be on a 300’ tower or on the top of a large building. Each site is linked to gather on IP network, similarly to a small business computer network. if a radio sends an audio transmission to one of these sites an onboard computer then relays this audio to each sites in which the audio needs to be broadcast. Once the information reaches its intended destination, the information is transmitted to the radios at that location that need to hear the transmission. This process takes all but less than 1 Second and provides instant connection to your team.